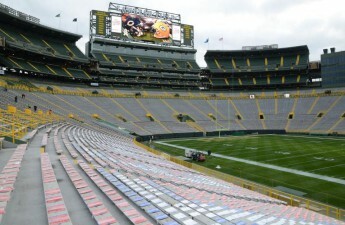 The Lambeau Leaps into the stands afterward said it all for Wisconsin football. What the team accomplished Saturday was nothing short of a childhood dream for many of its players. 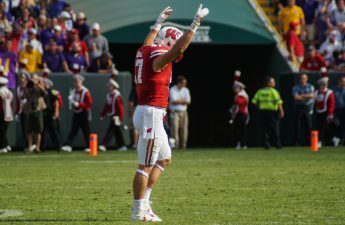 The chance to play at Lambeau Field was itself special to the Badgers, but to walk out the victors made it all the better. 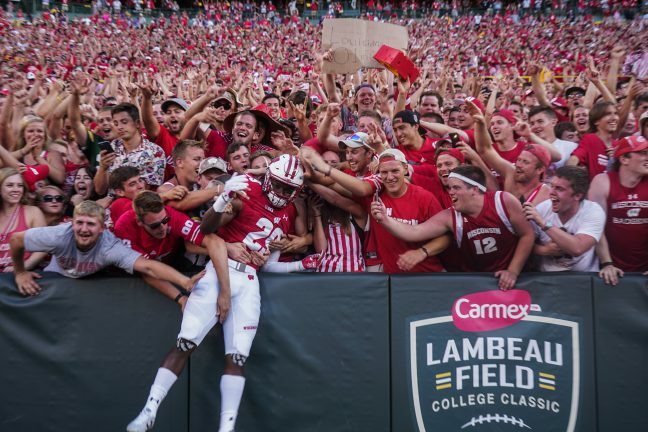 It was uneasy, frustrating at times, and took an ugly turn at the end, but the Badgers never let that take away from the moment. 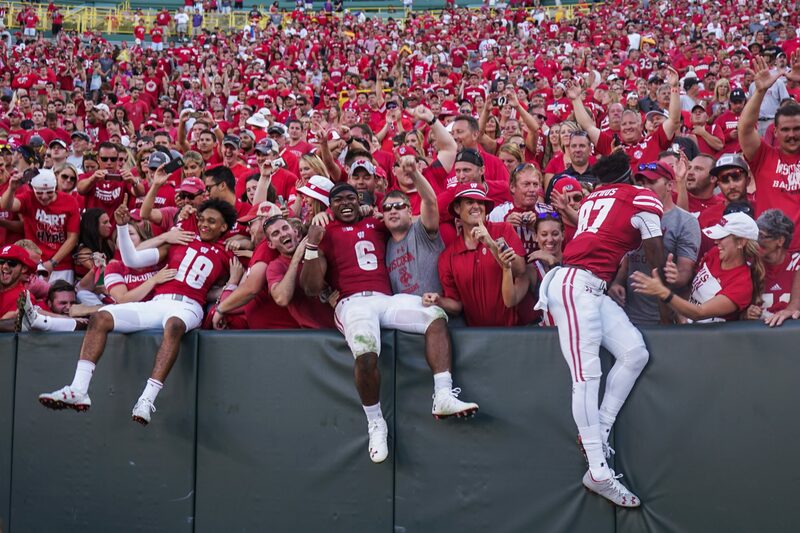 Immediately after the game had been won, Biegel, Dare Ogunbawale, Jack Cichy and others jumped into the stands to do what they’d only watched others do for years: the Lambeau Leap. 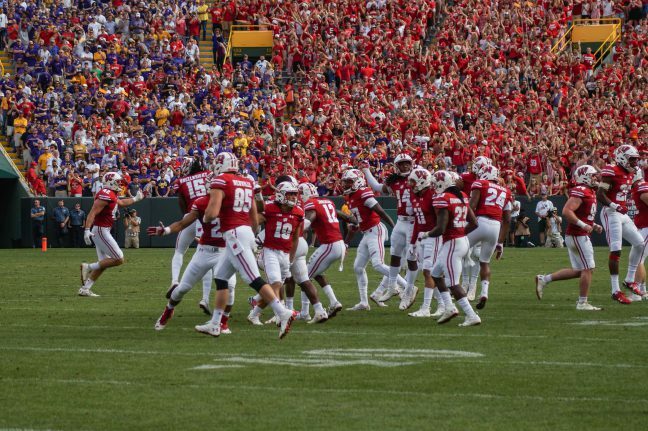 The atmosphere in the stadium felt like it could have been a bowl game, and gave players everything they’d hoped for. 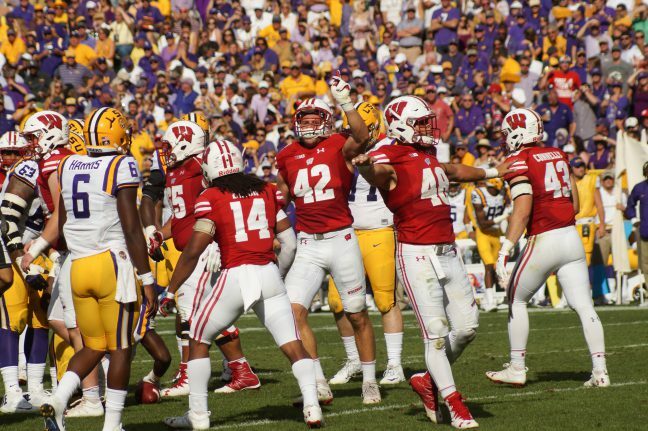 Unfortunately, the hit D’Cota Dixon received from Louisiana State University’s Josh Boutte after catching the game-winning interception casts a dark shadow over what was otherwise a fairytale upset win for Wisconsin. It makes this game have a bit of a complicated, awkward legacy because while it will be remembered as an amazing win, in the back of everyone’s minds is the fact that Dixon was hit so viciously and undeservedly. What LSU head coach Les Miles said afterward only adds to it. He didn’t have to give specifics on punishment or anything team-sensitive, just simply state it shouldn’t have happened. Instead he chose another route. 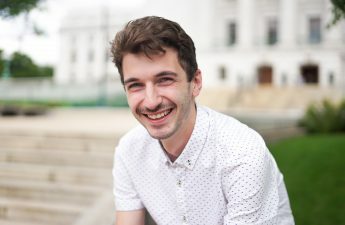 “It was very logical that he did not know [Dixon] had been down,” Miles said. Miles said he needed to see the tape after the game and failed to address anything else about the hit. It wasn’t even a regular hit, but rather a clothesline straight to his head. Even if Boutte didn’t know whether Dixon was down, he should not have received that type of hit. That is why this win feels a bit weird, because Wisconsin’s otherwise fairytale moment now has a stain on it. It’s not something that completely ruins the win, but Miles’ comment afterward doesn’t sit right. Luckily, Dixon walked off the field on his own power and seemed alright. But it could have ended very differently and Miles’ comments show a distinct lack of responsibility for player safety. For the Badgers though, they’ve put the incident behind them and are ecstatic to walk out with a win. 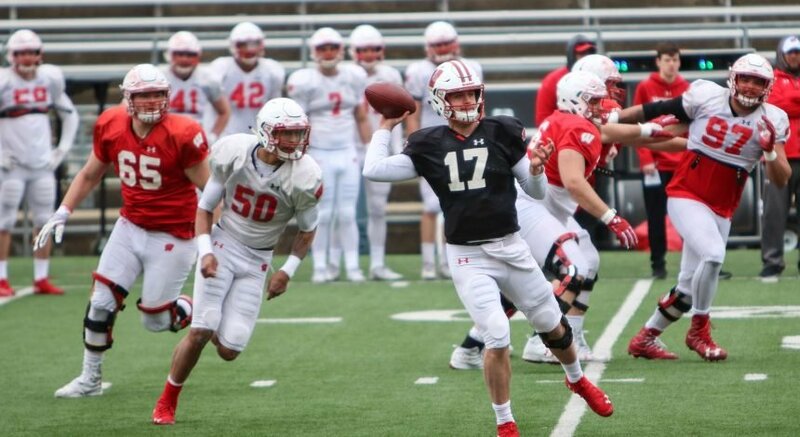 Biegel didn’t have much of a comment and instead of focusing on anything negative, Wisconsin head coach Paul Chryst held the game in a positive light. In the end, it’s better to move on and remember leaping into the stands in victory.